In the beginning of his 2004 book on the psychology of world leaders, political psychologist Jerrold M. Post explains his guiding question: When does the personality of the leader affect political behavior? According to Matthew Kalman and Matt Rees, the self-anointed (and self-published) maverick authors of the e-book Psychobibi (DeltaFourth, 2013) the answer is simple: always. 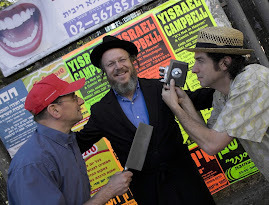 Ever wonder why Israeli Prime Minister Benjamin Netanyahu seems to contradict himself, take steps that sabotage his own success, or behaves in a way guaranteed to earn the wrath of critical allies, mirth of the press, contempt of the public? 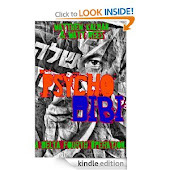 For those unsolved enigmas that keep the people of Israel up at night – why is he married to a woman everyone loves to hate, what kind of cigars does he smoke and why was he happy to lose the Premiership in 1999 – Psychobibi has an answer. It’s Freud, stupid. Those cigars are not just cigars. Enough about you, let’s talk about me(dia). Before looking at what’s in the cigars, it’s worth considering the book itself as a sort of commentary-in-motion on the state of print media today. The authors attempt to strike out a new form of long form journalism – a bold endeavor in an age of the 140-character blippersphere. The e-book is essentially an extended lengthy magazine profile, sold on Amazon for $5.00. For those who don’t have time to read a biography, it’s an abridged answer. For those who want more than a magazine story, it’s richer. 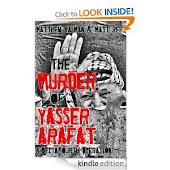 The same concept informed their previous endeavor, The Murder of Yasser Arafat.